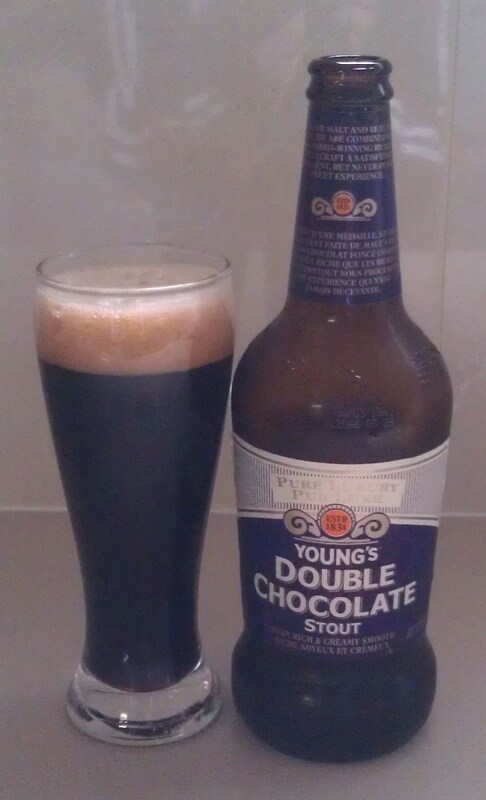 This week’s sesh is brought to you by Young’s Double Chocolate Stout, a brew from the UK. Truth be known, I’ve been eyeing this one off for a while now, and I figured you can’t really go wrong with beer and chocolate. What I didn’t figure on was this being a burp-factory. This is another with light and tingley carbonation, but it’s so black you can’t see any bubbles in the glass. I can attest to them being there though. Taste-wise, it’s not as impressive as the name would imply. There’s a slight taste of chocolate on the first sip, but apart from that, it’s a poor cousin to something like the James Squire porter. The burnt toffee aftertaste lingers initially, but gradually disappears the more you drink – and being a 500ml bottle, there are two whole drinks in this one. Having said all that, I did finish it, even though it wasn’t one of the best I’ve had. Probably wouldn’t get this one again. I had a really cool rant about politics loaded up and ready to go but I came across something while I was traversing the interwebs that I had to share. Something that made me start thinking about my mortality. Something that made me realise just how far in the past my childhood is. I know, I know. 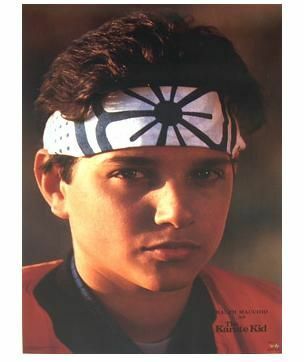 I’m not eight anymore, but that still doesn’t make the fact that The Original Karate Kid is over the hill any easier to take. I know what you’re thinking too, and yeh, he was a hotty (I can still appreciate a good-looking lad), but I didn’t want to date Daniel-san – I wanted to be Daniel-san. True story (I have lots of them). When I was a kid, I used to stay at my cousins’ house on school holidays. We used to play Barbies and stuff (I was always Ken – the one with the plastic hair), and we used to have a disco at night where we put cassette tapes in the cassette player (usually home-made ones from taping off the radio or Rage), and we’d turn off the lights in the bedroom except for the bed lamps and the glow worms, and we’d party down. Usually, we’d have a theme, but no matter what the theme was, I would wear a red robe, tie a hanky around my head, and BE The Karate Kid. “King Fu Fighting” was my song, and when that song came on, I got to cut loose. (“Wax on, wax off”). I was also told when I was a kid that I kinda looked like Ralph. (Un)fortunately, I can’t actually find any photos of me when I was eight, but I did have a haircut similar to the photo above, and I could do that intense look quite well. Especially when I was fielding at silly mid-off for my school cricket team. So anyway, after this discovery, I need more beer to forget the fact that I’m no longer a kid.